Thanks for reading today. We'll be back from 08:00 tomorrow with more news, sport, weather and travel from across Oxfordshire. If you've been following the rival plans to restructure Oxfordshire's local authorities you'll know that the county council, plus two of the five districts, has argued for a single "unitary" authority to run all services. 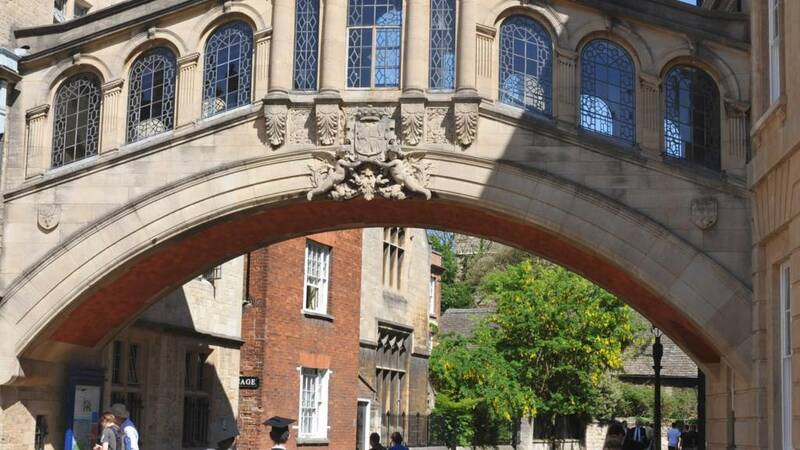 But Cherwell District Council, plus Oxford City and West Oxfordshire, are against the idea, and the two sides have taken to Twitter to make their cases. Live coverage of Tuesday's League One game between Charlton Athletic and Oxford United. Oxford continue their pursuit of a League One play-off place with a narrow victory at Charlton. Oxfordshire County Council's cabinet has voted against controversial health cuts. Councillors said they weren't satisfied with the plan put forward by the local clinical commissioning group. Health bosses say £200m pounds worth of savings needs to be made in in Oxfordshire by 2021. It includes plans to downgrade the Horton Hospital. But councillors say the CCG hasn't presented them with clear options. Known for long tailbacks, there have also been a number of high profile fatal crashes on the A34 between Winchester to Bicester recently. BBC South would like to know what questions you have about the 62-mile route. Further tests are required to identify human remains found following an explosion at a block of flats. At about 17:30 on 14 February a man approached the driver of a vehicle outside the Co-op in Wood Lane, Sonning Common, police said. He opened the car's front door on the passenger side and sat down in the passenger seat, asking the victim to drive him down the road. The victim, a 78-year-old man, drove the offender to the parish hall and then asked the man to get out. The man refused, produced what is believed to be a knife, and grabbed his victim by the wrist, threatening him with the knife. The victim then left the vehicle and walked towards Co-op to ask for help, during this time the man had walked up Wood Lane in the direction towards Kennylands Road. Tests on human remains found in the rubble of an explosion in Oxford have proved "inconclusive". Thames Valley Police had been working on the assumption the remains were those of Guido Schuette, who went missing after the blast. 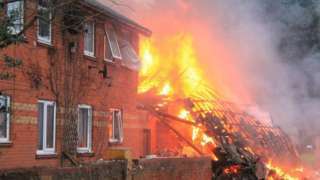 The explosion happened in the Osney Lane area of Oxford, and destroyed part of three-storey block of flats at 16:45 GMT on Valentine's Day. Three flats have been destroyed, and a further five may need to be demolished. Police said that a post-mortem conducted on Sunday on the human remains found in the rubble was inconclusive. Further tests to identify the remains and ascertain the cause of death was required. Traffic is crawling on main roads into the city this morning as one of Oxford's busiest roads undergoes sewer works. Unesco heritage site and Oxfordshire estate Blenheim Palace has received a Gold Accolade from Visit England. Operations director Heather Carter said: "We are delighted to have been recognised as one of the top attractions by Visit England. “The entire team is committed to continually look at innovative new ways to improve the overall visitor experience here at Blenheim Palace." We've asked to know what questions you have about the A34, and you've been telling us on our Facebook page. Known for long tailbacks, there have also been a number of high profile fatal crashes on the 62-mile route between Winchester to Bicester recently. Chris Simmonds asked: "Why isn't it already a 4 lane each direction motorway? The cost to our industry and to the individuals that use it must be enormous, let alone the deaths caused by the nature of its narrowness." Alice Styles wanted to know: "Why are there crashes there nearly every day?" Michelle Catling said: "One problem between Newbury and Didcot is the on slips are tiny. Combine that with very heavy weight of traffic and it contributes to the stop start nature of the traffic flow. There is no easy way to join the moving traffic." Although southern England is expected to miss the worst of Storm Doris on Thursday, strong winds are still forecast. Thames Valley Police has released the below CCTV image after a Volkswagen Golf was damaged in Abingdon. At around 7.30pm on Tuesday last week the car was targeted while it was parked in Wilsham Road. PC Julian Parvitt said police would like to speak to the man in the image. If you're into your cockney rhyming slang don't worry about the headline. The perennial Oxford festival hasn't hit hard times, in fact Pete Tong - a DJ of great renown - has just been announced as one of the headline acts of this year's musical weekend. And if a bit of house selection doesn't tickle your fancy have no fear, Sean Paul is here. That's right, the mainstream Jamaican R&B renegade master with the cornrows from the early 2000s is making a comeback. We'll find out in May whether Oxford were able to 'shake dat ting'. What questions do you have about the A34? The A34 has been in the news across the region in recent years after a series of high-profile crashes and regular long tailbacks. Next week the BBC will be hosting a debate across Oxfordshire, Berkshire and Hampshire to debate the issues, and potential solutions to the dual carriageway. We want your questions on the A34 for a special programme broadcast on 28 February. Click the link and fill out the form to have the opportunity to get your question answered on air, and on the website. The garden of a property where double-killer Christopher Halliwell once lived is being searched by police. Officers are digging at two addresses in Broad Street, Swindon. The work is expected to take five days. Halliwell was jailed for life last year for the 2003 murder of Becky Godden, having already admitted killing Sian O'Callaghan in 2011. He dumped Miss O'Callaghan's body in Uffington, Oxfordshire, after abducting her on a night-out in Swindon. On the A34 southbound traffic is very heavy from junction 9 M40 to Weston-on-the-Green. The A34 northbound is patchy from Abingdon North to the Hinksey Hill interchange. On the A40 northern bypass road expect delays as traffic is down to one lane between the Headington roundabout to the Marston flyover. This will be in place until 3 April. On the Abingdon Road expect delays in both directions due to the temporary traffic lights at the junction of Western Road. A 10-year-old boy and his mother have been labelled "extremely lucky" after they were involved in a seven-car pile-up in Oxfordshire. Six cars and a lorry were involved in the pile-up at 10:35 GMT on the A34 near junction nine of the M40. South Central Ambulance Service said the pair sustained "potentially serious but not life-threatening" injuries. A further three patients were taken to hospital with minor injuries and 12 were treated at the scene. The road was closed for about four hours but has now reopened, Thames Valley Police said.